Adopted in the year 1893, The Minnesota state flag has a royal blue field with a gold fringe. In the center of the flag is the state seal, which is surrounded by a wreath of the state flower, the lady slipper. The date 1858 seen on the wreath signifies the year Minnesota became a state. There are 19 gold colored stars arranged in clusters to form the points of a star to denote that Minnesota was the 19th state to be admitted after the original 13 states. Celebrate your state pride with our premium quality Minnesota Flags that are made to the highest quality and precision. 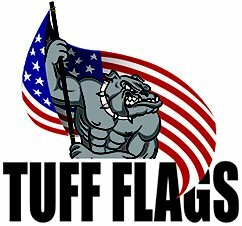 Our commercial grade flags are 100% made in USA and carry 6 months guarantee on construction. Shop from our complete line of Minnesota Flags right away and avail the best prices, quick shipping and much more! 100% customer satisfaction guaranteed! Our Minnesota State Flags are offered in all standard sizes of 3’x5’,4’x6’,5’x8’,6’x10’and 8’x12’ and are available in two popular fabric choices of nylon and polyester. Finished with heading and grommets, our flags make perfect symbols of beauty and craftsmanship and will make perfect gifts, keepsakes and display items. Our lightweight, quick dry nylon flags are great for low and medium wind conditions while 2-ply polyester is recommended for high wind conditions and in coastal areas. 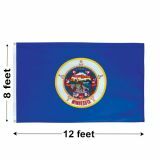 In addition to outdoor and indoor flags, we also have a complete indoor flag lit that comes with all the flag display items like poles, tassels and ornaments. 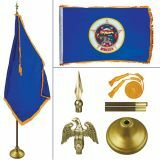 Browse our complete line of Minnesota State Flags and shop from all the different models in stock. Be it for schools, defense organizations or businesses, these flags make a great way to show your love for Minnesota. Need help? 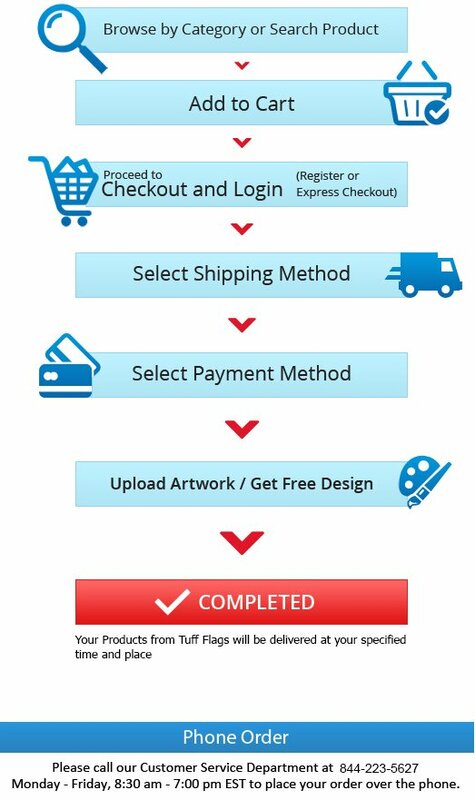 Call our toll free number (888) 287-3524 or email at customercare@tuffflags.com.